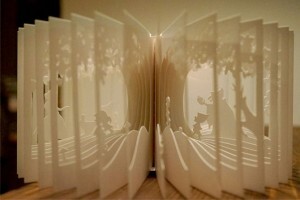 Her works are cut out elaborately and has a theme of Christmas, jungle, sweet home and all other festive season. 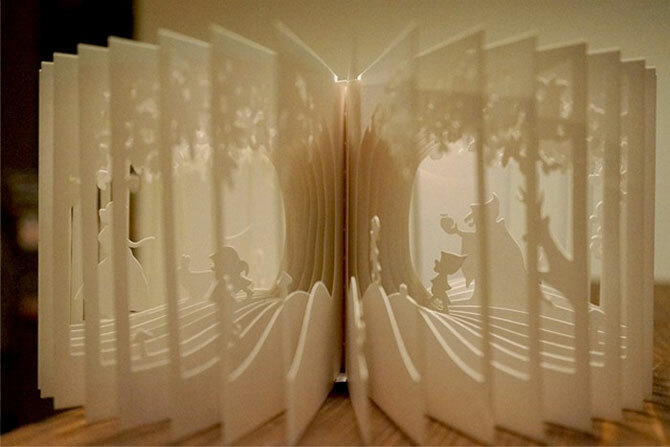 She uses the book as an axis and each page of the book becomes a layer that has different stories of the same theme. She plans her work using 3D CAD programming and transform 2D surfaces to a rich visual sculpture using the laser cutter.